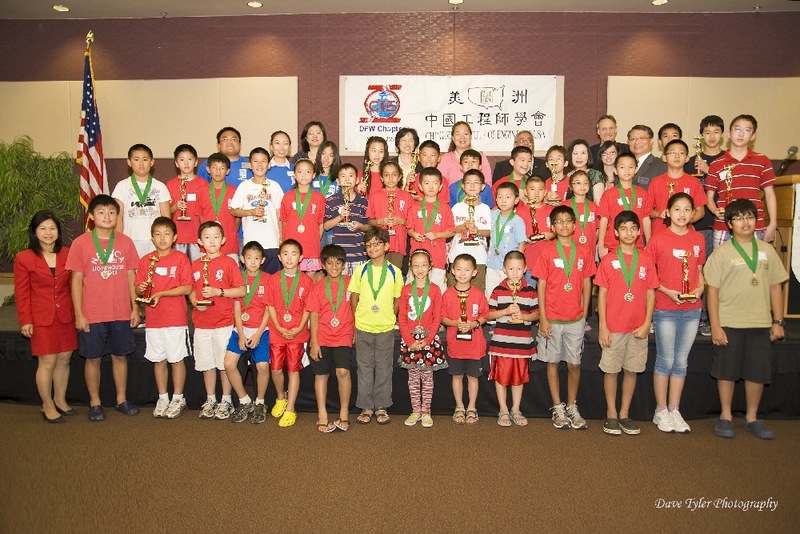 CIE/USA-DFW successfully organized its flagship youth program, the 2012 MathComp/ MathFun, on June 2 (Saturday) at Collin College Spring Creek campus. The event started at 12 pm and ended at 5 pm. It attracted more than 280 students from Grade 1 to 7 registered for the event. Over 800 people participated, visited and volunteered for the event. MathComp provided the opportunity to demonstrate their math problem solving skills. MathFun was an interactive program allowing parent/children to work together in solving math quizzes and games which stimulate the students’ interest in mathematics. This year there were 16 local non-profit organizations, educational organizations, university/college organizations, sponsors, and Chinese schools participated in the MathFun activity. The activities they brought included math puzzles and games, sudoku, chess, science projects, math education and robotics. While students were taking the test, there was a Parenting Seminar from Mr. David Cordeiro, a math education expert at Metroplex Math Circle, to show us importance of math in the society. He is also the Offering Manager – Unified Communications at HP Enterprise Services. He also suggested many alternatives to improve the competitiveness of the American students in math at the global level. His presentation in the form of prezi can be found here. During the award ceremony, Ms. Grace Tyler of Texas Dragon Toastmaster gave a motivational speech to the kids describing the differences between aptitude and attitude from different perspective, and how it can affect the long term career. MathComp/MathFun organization this year was led by Dr. Chinpei Tang and Dr. Juan Zhao. There were about 130 volunteers involved and participated in the organization of the activities. Within these volunteers, about 10 volunteers were from the Rotaract at Collin College, and about 35 volunteers were from the North Texas Youth Honor Society. The sponsors this year included Lockheed Martin, Texas Instruments, Oncor and AT&T. The lunch for the volunteers were sponsored by Cindi’s New York Delicatessen.